The hunt for a cure for her "sisters'" condition leads Wolverine to Pym Labratories and an ill-advised attempt to steal an Ant-Man suit. 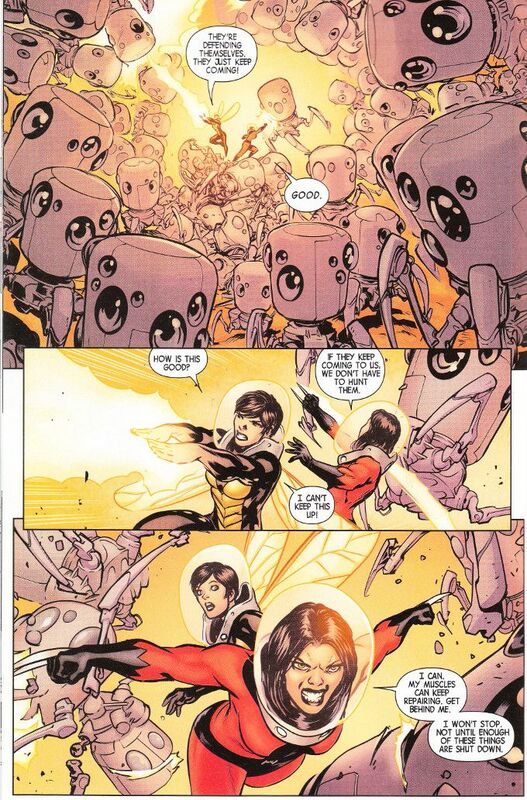 Thankfully, The Wasp is sympathetic to the girls' plight and willing to help fight the nanintes that are threatening to tear them apart from the inside. Unfortunately, that's a task that's easier said than done. I've never been much of an Avengers fan but I've always liked the spunky, confident, take-charge take on Janet Van Dyne from what modern Avengers comics I've seen as well as her characterization in the Earth's Mightiest Heroes cartoon. 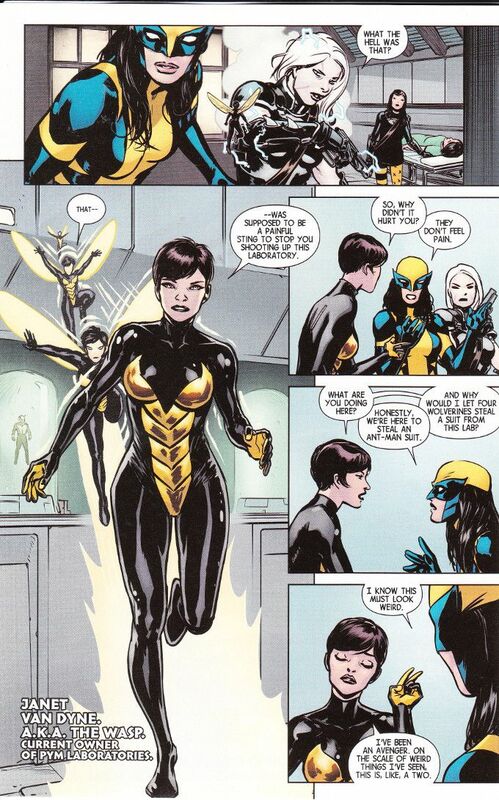 Tom Taylor's take on The Wasp is woven of the same cloth and it's nice to see her in action here. It's also nice to see that Laura is marked as being a distinctively different fighter than Logan, taking care to plot some strategy before cutting loose. The art team continues to impress. David Lopez and David Navarrot continue to nail it out of the park with every page. And Nathan Fairbairn's colors are perfectly chosen throughout.